Elders can teach a thing or two about life to the coming generations, and it can be sporty too, and for this Air Force officer, age is just a number. Old age becomes synonymous with wisdom and knowledge for a reason. It is said that out of all the faculties of learning (auditory, visual, auditory + visual, experiential), the ones which involve a full experience of 'doing' things has the highest chance of data retention - up to 90%. That is also the reason why indigenous tribes treated their elders as books and libraries of knowledge since they had the knowledge as well as the interpretation of that data. One such case reflected this phenomenon on a much modern turf. 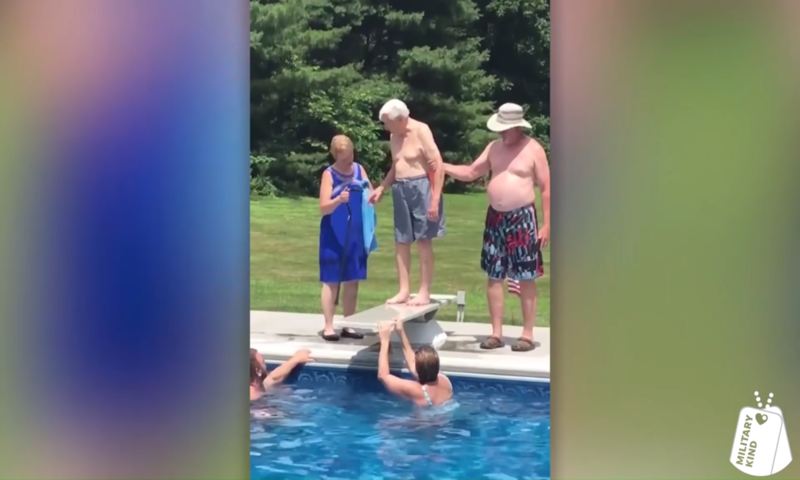 Michael Bliss, a 95-year-old Air Force veteran was demonstrating to a frightened young boy how to dive from a diving board. A video that captures a poetic meeting of two generations - one with charming promise, another with wrinkles of experiences - has attracted the internet's limelight. 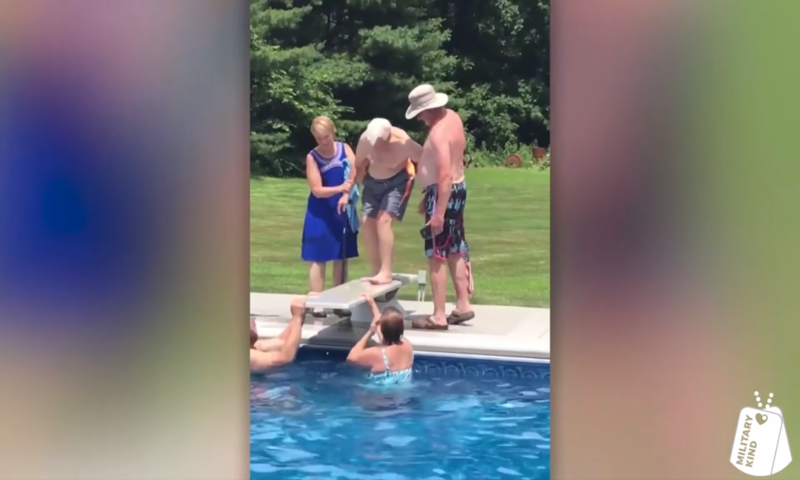 Michael decided to make the young man 'walk the walk' by showing him how diving from the board was nothing but embracing the gravity and letting go of the fears that hold one back. Bliss had taken notice of how the youngster needed some backup, and he stepped up when the duty called. Bliss, armed with a cane and the careful eye of his family, Bliss took to the board. Though Bliss stumbled a little on the board owing to his seniority in age, which also made his family let out a few gasps of horror. 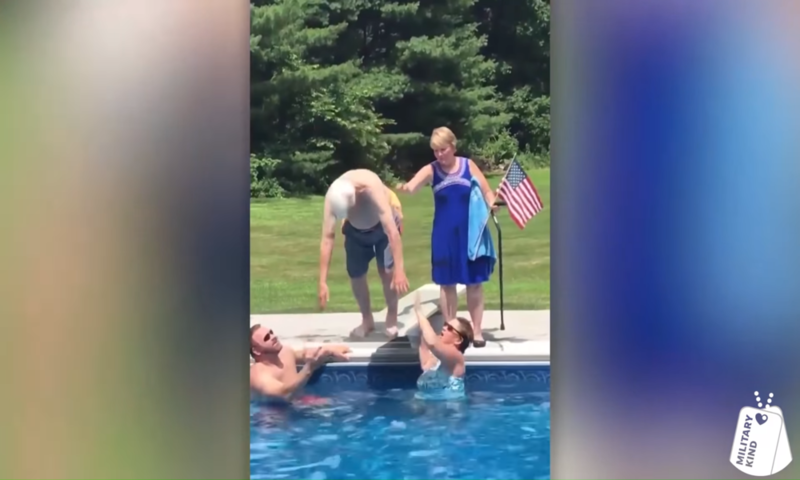 But the veteran's known stance returned in a few moments and finally managed to take a glorious dive in the pool. 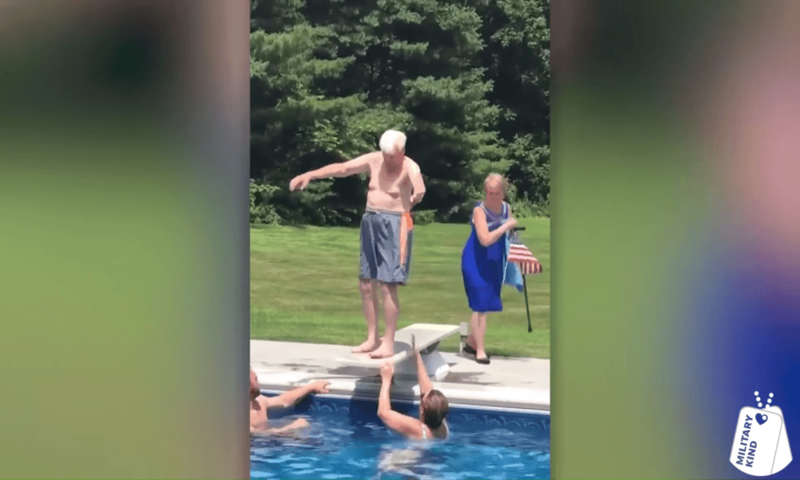 While in the air, he went on to perform a very educational belly-flop, the grace of which is seldom expected from a man in his 90s. Christine Ross spoke to USA Today, but hardly anything alarming to say about the old war veteran. "He is very spry for his age – he’s 95 soon to be 96-years-old and is both a WWII and Korean War veteran in the U.S. Air Force. He is full of amazing stories and has song for every situation." 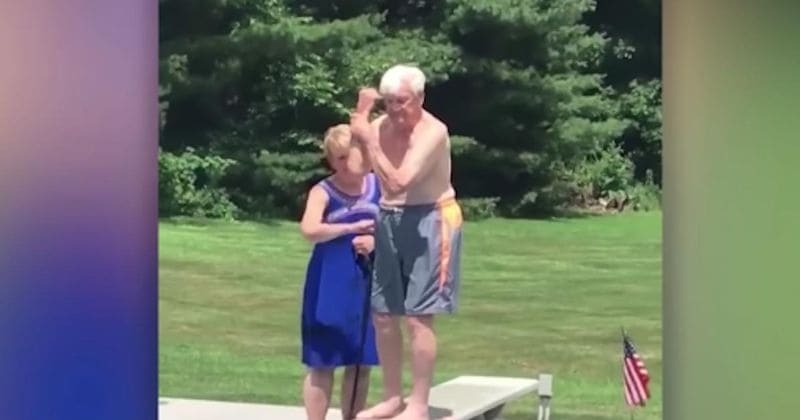 When the old-timer heard of his video being positively received online, his grandson reportedly shared that his grandfather told him that he now “wants to be seen around the world”.